Did you miss Adrien on KEYE TV We Are Austin on June 9th? Check out the clip below to watch and here are all the snacks she talked about. Let us know if you tried one. Summer is filled with outdoor activities, and we want to keep kids fueled up to enjoy every moment. 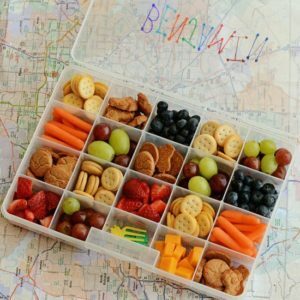 From camp to a day at the beach these snack ideas are packed with nutrient rich ingredients to keep your kids nourished and ready for the next adventure. Also check out our Pinterest Snack Attack page for more ideas! These great boxes have each divided compartments for kids to add in their favorite snacks. We always encourage them to have 3 colors to make sure they ate getting in variety and choices. Try adding in some raspberries that are loaded with Vitamin C to boost kids immune system over the summer while they are active. These energy balls truly live of to their name with all the great protein and whole grains to fuel up your kids summer activities. Mix all together in a large bowl. Place the bowl in the freezer for 30 minutes the shape into small balls. 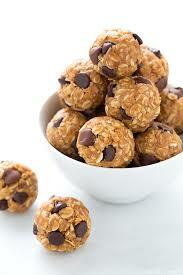 All to often we forget about protein in snacks. These yogurt buttons made from Greek Style yogurt are packed with 9 essential nutrients from milk – calcium, potassium, phosphorus, protein, vitamin A, vitamin D, vitamin B12, riboflavin, and niacin. A take on the traditional Ants on a Log for kids with a nut allergy to Fish in a River. Having a s nack that kids can make helps them to build confidence in their ability to nourish their bodies. 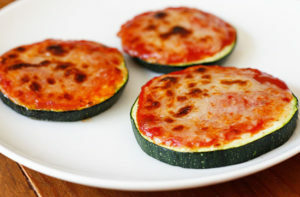 Have them try building this fun and easy snack to get them in the kitchen. Lastly, we want to keep kids hydrated over the summer. Being at the beach or all day at camp kids will be active and needing hydration. Pack along a water bottle filled with water and encourage them to have at least 1-2 before you pick them up at the end of the day. Pleas let us know if you have tried any of our snack, and don’t forget to sign up for our free newsletter for more recipe and tips of good health and nutrition.